Blouse by PETER HAHN with long sleeves. 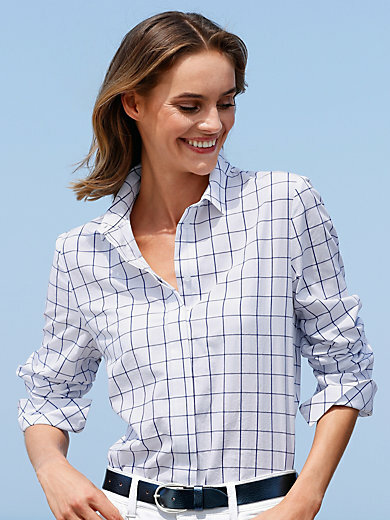 On-trend yet classic style made of lightweight cotton with cutting-edge check pattern in fresh blue and white. Shirt-style blouse with rounded hem and side vents. 100% cotton. Length approx. 26ins. The blouse is machine washable.